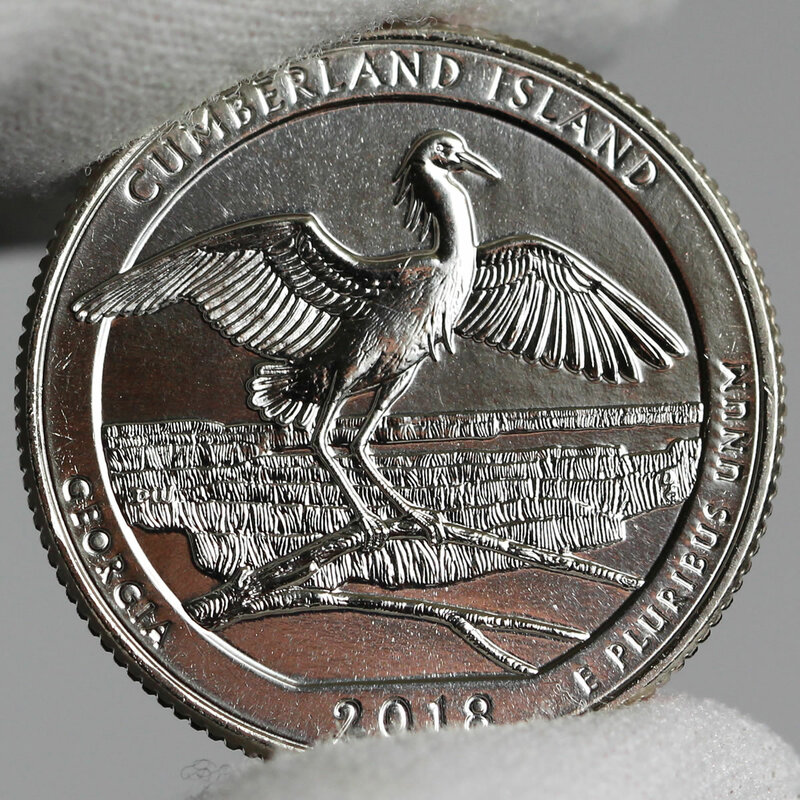 The latest U.S. Mint sales figures show first results for the new collector coins depicting Georgia’s Cumberland Island National Seashore. 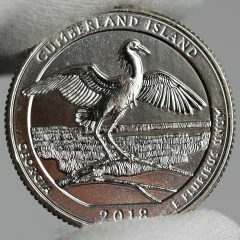 Released last week on Monday, Aug. 27, the Cumberland Island quarter is the fourth of five 2018-dated issues. Available products include rolls and bags of quarters from Philadelphia, Denver and San Francisco with mint marks of ‘P’, ‘D’ and ‘S’. And, make it three weeks in a row for the 2018-S Proof American Silver Eagle. It’s led numismatic sales for the U.S. Mint since its Aug. 14 release. The silver dollar rose 20,235 to 114,119. It has increased a combined 62,625 units since posting first-day sales of 52,494. Briefly, the no longer available 2018 Silver Reverse Proof Set climbed 429 to 199,177 for 99.6% out of the possible 200,000 sets. Finally, the climb continues for World War I Centennial 2018 Silver Medals since their July 31 sales reopening. Their gains were smaller for a third week in a row, advancing by a combined 267 pieces to 61,522. Their three prior weekly increases came in at 416 pieces, 880 pieces and 4,910 pieces. In its latest report, the U.S. Mint published sales data for 175 numismatic products. Sixty-four products outperformed their prior weekly gains against 28 previously. Not counting the newest Cumberland Island products so as to compare apples to apples, 5 products increased by more than 1,000 units against 6 previously. No products saw their sales reduced compared to 1 previously. Below are tables showing the latest sales for U.S. Mint numismatic products. The sales period covers from Aug. 27 to Sept 2. Products with an asterisk (*) are no longer available or had no reported sales. *Gains are across two reporting periods.